It is officially the last weekend of #tasselhappy! I’m for real this time. We will not be carrying this hashtag on any longer, no matter how much I love looking at your tassels! It’s over! So get your #tasselhappy posts in before Monday or you’ll miss out on the chance of winning this! But don’t worry. While we’re plotting away for our next hashtag competition you can still share your tassels and everything else creative with us on #wemakecollective and #fallfordiy. 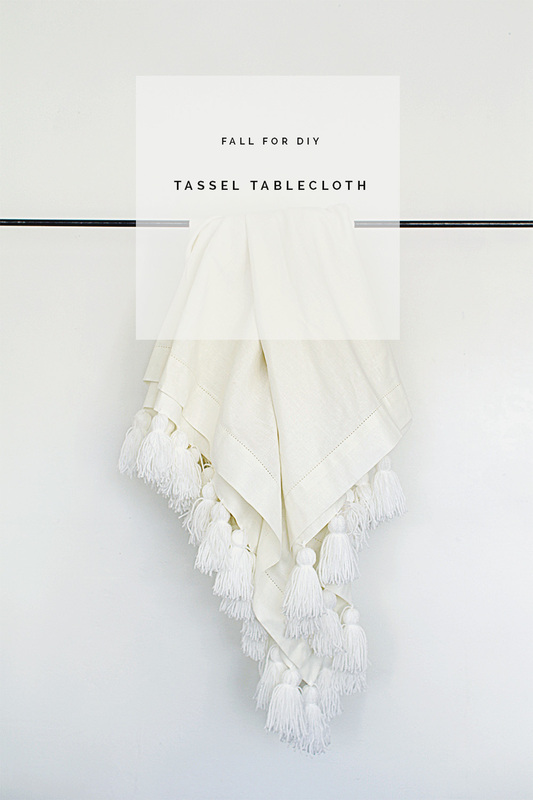 I’ve spent the last three weeks making tons of tassels, partly because I wanted to make this DIY tassel tablecloth but mostly because it’s so addictive! I’ve also decided to pick up my game when it comes to creating videos. I’m easing myself in, but you might just get to see a little bit more of me in these soon. It’s such a different way of working than I’m used to and it’s taking some time to get used to listening to my own voice and being on camera. I’m shying away from all of that for now and sticking to simple, easy tutorials. Like this one! If you want to see the picture tutorial for these tassels then just head over here and you’ll find the full write-up. Oh Yeah!! I have been thinking of making a tassel tablecloth, thanx for the reminder and that white on white looks fab. This is really pretty. I liked seeing the tutorial in video. Ahora hemos avanzado a la próxima fase de test de la Beta.